Isn’t it a lovely winter? 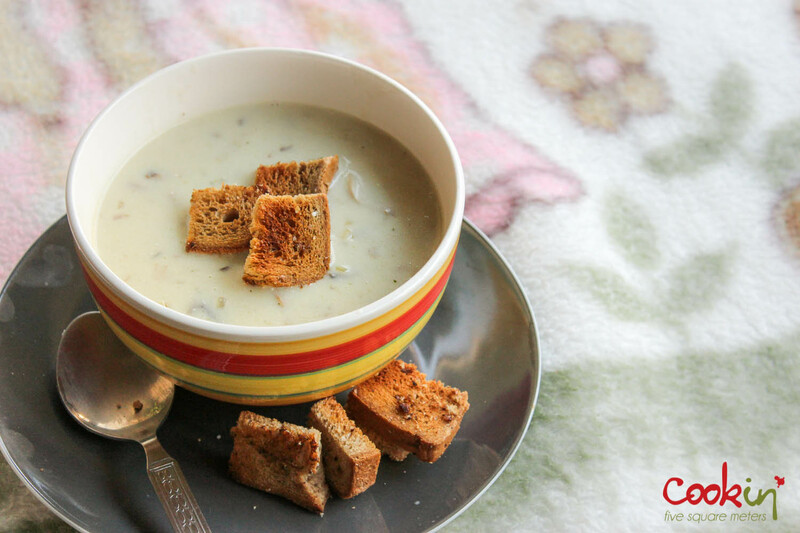 Those cosy nights with a blanket, soup and a warm drink to keep you warm. It’s entertaining to listen to the sound of rain droplets tumbling down the roofs and the messing neighborhoods too. Don’t you love this season too? My menu for the season includes a bowl of soup on Sunday nights and a cup of warm infused hibiscus and honey. I am experiencing the magical abilities hibiscus in relaxing me and helping me wake up more easily in the morning. 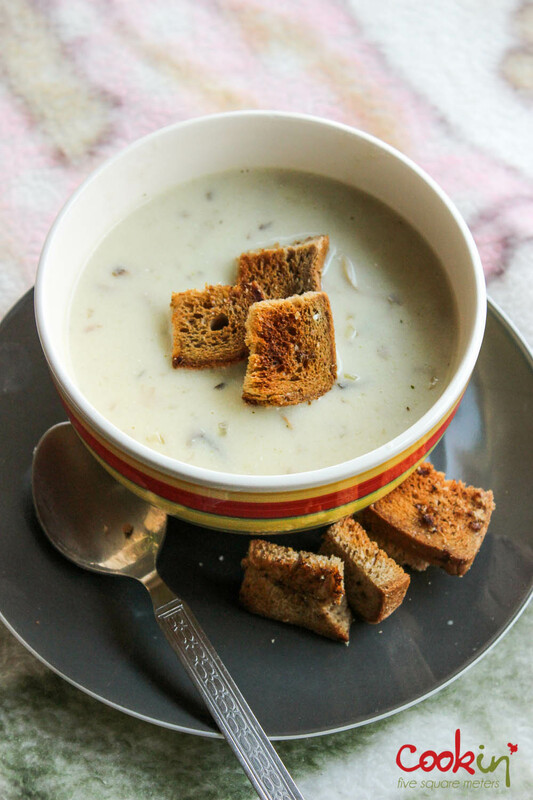 About soups, my sister has been craving this creamy mushroom soup. But I didn’t have any fresh mushroom and the supermarket is at least 15 minutes away by car (we don’t own a car yet) and I couldn’t go myself: I would take so much time shopping for other stuff or looking at beautiful packages, and I am keeping an eye on my spending because I bought an early Christmas & birthday gift for myself (with the help of 2 lovely people I have in my life) a DSLR CAMERA. My sister suggested making a soup from the dried thing that comes in a packet which transforms into a soup when boiled with water. That trick works for chicken noodles soup ONLY when you’re sick (the way I was last week especially on my birthday) and you’re not in the mood and don’t have the energy to make a soup from scratch. Otherwise, NOTHING compares to real soup made from real solid (and liquid; stock and water) ingredients. 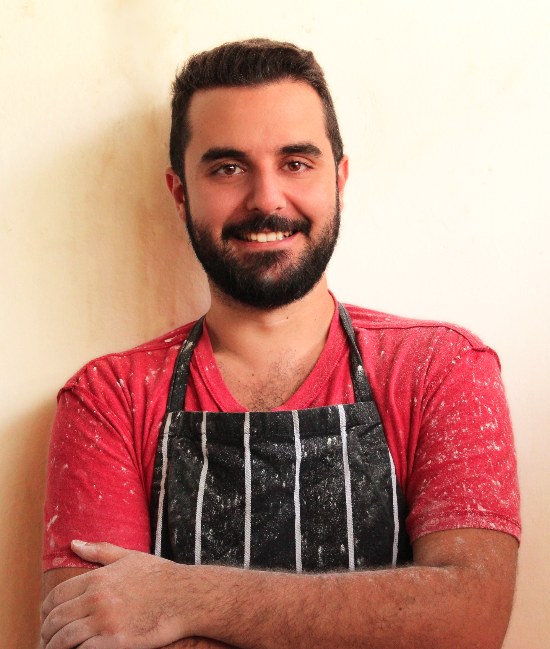 Each soup would have a different aroma and flavor to it unlike the distinct flavor of that one brand across all of its line of shorthand products that can shorten your kitchen time and give your taste buds a break and send food down your stomach directly. Trust me, once you take the long way and taste the fineness you will think twice before using a shortcut. So, after giving my sisters a long speech about why it’s better to use fresh ingredients, health and taste wise, I made both both of them go to the supermarket and buy Sunday’s lunch ingredients a couple of hours before lunch time. Typically, I was guiding them via texting and calling but for their own good, it’s better than if I went myself. They would have had the soup for dinner. Melt half the butter in a large pot on medium heat. Add onions and stir until soft for 4 minutes. Add mushrooms, salt, pepper, thyme and the half the remaining amount of butter and cook for about 5 minutes till mushrooms start to brown. Drop the last piece of butter and mix in the flour when it melts. Stir to coat mushrooms and cook for 30-60 seconds. Pour the stock and bring the mixture into a boil while stirring. Reduce the heat and simmer uncovered for 10-15 minutes stirring occasionally. Pour in the cream or milk+corn starch mixture and stir well until the soup boils and thickens. For a smoother soup, blend the slightly cooled soup in a blender or hand mixer. I prefer to see the mushrooms in my soup. 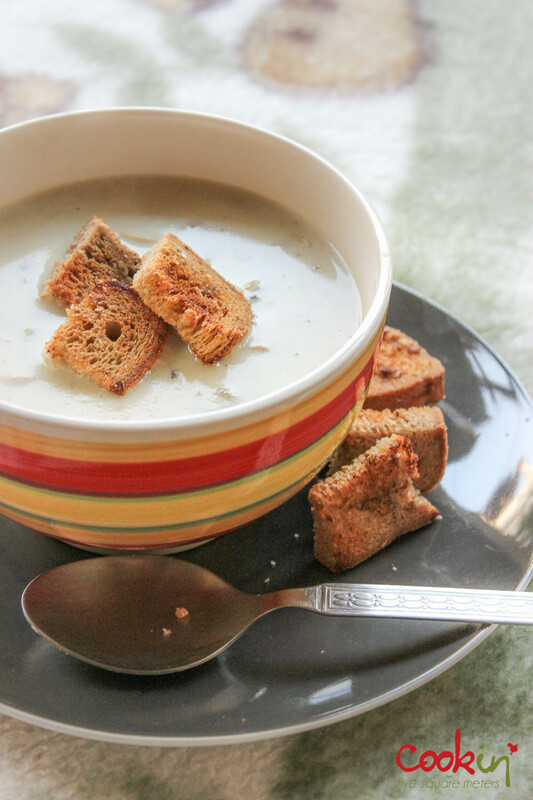 This entry was posted in Lunch, Recipe, Soup and tagged Beirut, blog, Bread, butter, coconut, cold, coutons, cream, croutons, fast-food, healthy, lebanon, light, maggi, mushrooms, natural, recipe, Soup, thyme, vegan. Bookmark the permalink.